Sealed Deck: a format where it's you and your six booster packs against the world. Constructed formats, like Standard and Modern, get a lot written about them. Booster Draft has a wealth of debate and discussion around it with every release, with everything from color preferences to pick orders as hot topics. But what about Sealed? It's a very important format you'll probably play a lot. You'll play it at every Prerelease, you'll play it at local qualifying tournaments, and you'll even play it in massive Grand Prix that lead directly into the Pro Tour. And with Grand Prix Albuquerque and Barcelona quickly coming over the horizon, I wanted to take a chance to dig deeper into Sealed play. A lot of people chalk Sealed Deck play up to variance and what cards show up in your booster packs—but it's actually quite a skill-heavy format! 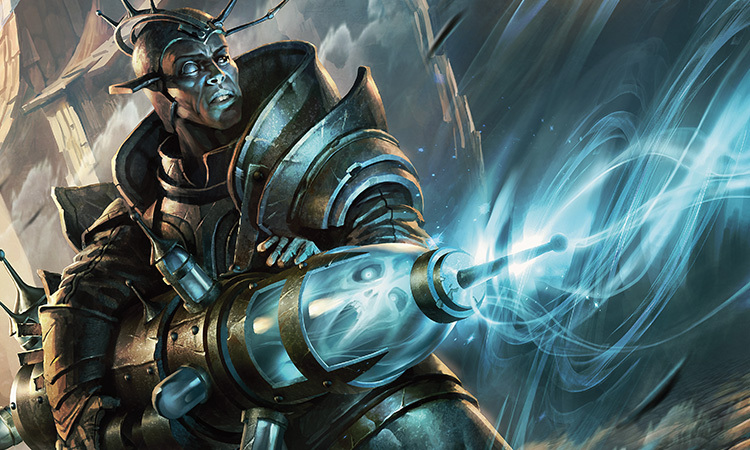 Knowing a few simple tricks of the trade can really propel your Sealed deck to the next level. Today, I'm going to talk about five things that can take you from building an okay Sealed deck to building an excellent one. In a Grand Prix, this could absolutely be the separation between making Day Two and sitting on the sidelines. Curious? Well, let's get started! Before going too much further, the prologue to this tale is very important: know your basics! There is no substitute for knowing key concepts like a mana curve or that removal is important, and today when I delve deeper into Sealed I'm going to be throwing around these kinds of terms and ideas willy-nilly. It'll help you to understand these ideas first. The reading I'm going to expect you to have done is more or less what you find under the "Unravel Your Boosters" heading in the Shadows over Innistrad Prerelease Primer. So if you haven't read through that, go take a gander and come back when you're done. It's okay. No, really. Go check it out. Awesome. With that information freshly down your mental gullet, let's keep moving forward! This is point number one, perhaps because it is the most important and can change how you view Limited forever. The moment I first discovered this principle, my eyes were opened forever and my Limited deck building greatly improved. It was kind of like becoming aware you're in the Matrix, except without the part where we're all actually stuck in slimy vats. Here's the core: your finished build should be more than just a pile of cards—it should be a coherent deck. "Well, no duh, Gavin. Of course it is supposed to be a deck!" Thanks, other Gavin, but that's not quite what I meant. Let me explain. The idea here is that there are two kinds of Limited decks: piles of cards and coherent decks. They may look somewhat similar at a distance, but they are very different. Piles of cards is how a lot of people build Sealed decks. And it's what makes most sense: you look over all of your cards, pick the best ones, and put them in your deck. You even have a mana curve and a good creature-to-spell ratio. The individual cards are all fine on their own. A coherent deck, on the other hand, certainly plays many of your best cards. It has that in common. But unlike piles of cards, it's focused on playing in a certain way and is probably playing a few cards you wouldn't expect. The difference comes in here: With a deck, you have a plan in mind while building it. The cards you're playing all serve this plan. With piles of cards, you just shuffle together, draw your hand, play Magic, and see what happens. With coherent decks, you go into the game with a firm plan in mind, and play the entire game from your opening hand to the last life point with that plan as a guiding principle. 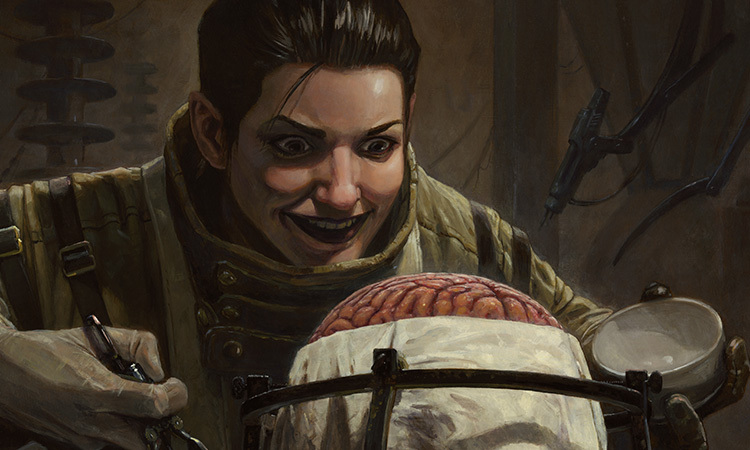 When you play Constructed, often the best decks seek out cards that fit on a game plan. When you're looking to build a mono-red deck, you don't just jam it full of all the best cards from one mana to six mana, from Monastery Swiftspear to Chandra, Flamecaller. No, you look at what the deck is trying to do. Is it an aggressive burn deck or a slower controlling deck? That will tell you a lot about which cards you want to play. This is a similar principle. Let's look at Shadows over Innistrad as an example. Tribal cards are a great way to highlight this. When you're building your deck and you start finding you want to play with a lot of Vampires, suddenly your Vampire tribal cards look way better. Then, because you want to play all of your Vampire cards, you find you have a more aggressive deck. As a result, you cut some of the cards on the top of your curve for some cheaper cards to make sure you can curve out early in the game and beat your opponent down. You now have a deck with a coherent plan: "Use your cheap creatures and tribal synergies to beat your opponent as quickly as possible." Let's keep running with this example. You sit down to play, and your opening hand has two four-drops, a five-drop, and four lands. In some decks you may want to keep this. But not this one: if you don't get an aggressive start, your plan is going to have trouble operating. Over the course of the game, you are going to try and be the aggressor as much as possible. That's the position your deck favors. And there's an example of how this manifests in Limited play and deck building. In short: Piles of cards means building a Limited deck with the cards you have. A coherent deck is more like building a Constructed deck with the cards you have. When building your Sealed deck, constantly ask yourself, "What is this deck's plan? What is it trying to do?" Once you can answer that question, it will inform a lot about the cards you want to include. It's how you resolve debates like "Is a two-mana 2/1 or a two-mana 1/3 better for your deck?" or "Should I play an extra two-drop or this eight-drop?" If you're having trouble, a trick Magic luminary Mike Flores talked about once is, "Imagine what the game will look like once you've won, and then work backward to figure out how you got there." That should help guide your plan. Having a plan in all Limited formats is crucial. In Sealed it can take a little work to put together, but you should still definitely have a plan nonetheless. My first tip was to have a plan not just because it's important, but because a lot of other pieces of advice will stem from that crucial concept. This one is definitely related. Let's imagine you're sitting down to play Sealed. Now, this could be any Sealed tournament. It could be a Prerelease. It could be a PPTQ. But let's imagine it's a Grand Prix, such as the aforementioned Albuquerque or Barcelona. The roar of the tournament is around you. You receive your final card pool. It's time to build a deck. Well, it's important to keep in mind that you're not just beating up on a goldfish that's some amalgamation of an average Sealed deck. You're going to play a lot of matches, against a lot of different people, all of whom have decks at varying power levels. And the question you need to answer is this: how are you going to build your deck to win the most games possible against the vast variety of your opponents' decks? You see, what's important here is taking down the competition. And even if you build your pool optimally in a complete vacuum, you might still be building the wrong Sealed deck for the tournament. If your card quality is very strong, you don't want to take many risks in deck building. The inverse is also true: if your pool's card quality is average or a little below, you want to be willing to take risks. If your deck's individual card quality is higher than your opponent's, you are generally favored to win a longer game. Once again, the inverse is also true: if your deck's individual card quality is lower than your opponent's, you are generally not favored to win a longer game. The thinking goes like this. If your deck is really strong, and likely going to be stronger than your opponent's, then you want to mitigate the ways you can lose. You want to build favoring consistency, playing a firm two colors, a safe curve, and maybe even eighteen lands to ensure you don't run into mana problems. This is generally a pretty "safe" Sealed deck. However, it's the opposite situation that's often more interesting to talk about. After all, when you get handed a great Sealed pool, you can usually build something strong there. If you end up with a Sealed pool on the weaker end of the spectrum, you need to be willing to take more risks to win. Over the course of a long day, the stronger decks are going to overpower you on individual card quality if you don't take some risks. This means you may want to consider things like playing three colors, a curve than maximizes your game plan, or even sixteen lands in some cases. This ties directly in with point number two, which I'll move on to next! If your deck is full of powerful cards and you believe it is going to be stronger than your opponent's, then you are inherently favored in the long game. You're okay stalling things out and playing defensively, because you believe you have the upper hand when the game goes long. However, once again, it's the opposite case that's the most interesting. If you think your deck sports weaker overall card quality than an average opponent's, that means you often want to win quickly. After all, you can occasionally just steal games with a quick draw that doesn't let their bomb creatures get online. Sometimes, the best way to beat a powerful card is to just kill them before they can cast it! So how about a real-world example? Let's say you open your Shadows over Innistrad Sealed pool at this Grand Prix. You look it over, and you believe that it is weaker than average. 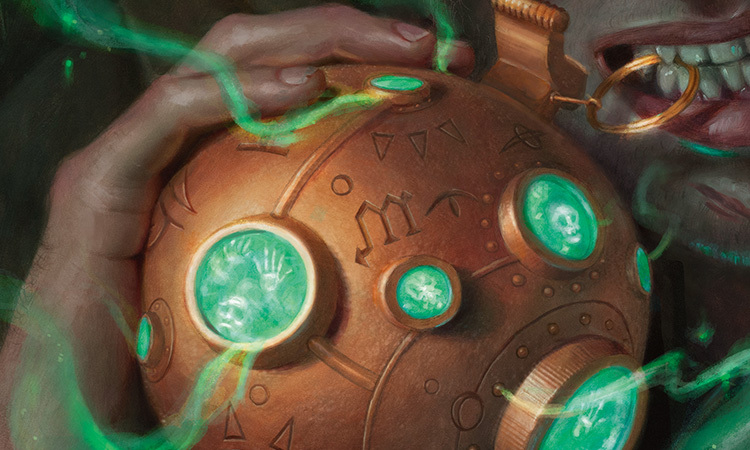 Now, you can build your Sealed deck like you normally would—a safe two-color midrange green-white deck. But over the course of the day, you are no doubt going to fall to the decks that simply have a better midgame than you do, with more card advantage and better threats. But let's look at something different. Let's say that instead, you build up an aggressive black-red-green deck, with your cheap Vampires and Werewolves. Your curve practically tops out at five. You're playing creatures, combat tricks, and some removal. And while it may look less conventional, this kind of deck is what many other decks just aren't prepared for. It's like you sat down to play rock-paper-scissors, but instead of just throwing your hand at the end, you threw an octopus at them instead. Sure, maybe they'll catch it in time—but there's a good chance they're going to be caught off guard. And if they stumbled at all—missed a land drop, mulliganned poorly, or just kept a slow hand—you can run right over them. Especially in this format with Werewolves threatening to transform early, it's not that hard to craft a start that puts your opponent on the back foot extremely quickly. This relies on correct Sealed pool identification, which is certainly an advanced technique that requires understanding of the format at large. But hey, I told you we'd be getting into advanced techniques today. And I think you're up for the challenge. So often, people agonize over their decks, finish them, and then tuck everything else they opened in a box to put away for after the tournament. In reality, all of those other cards—your sideboard—are among greatest weapons you have in your arsenal. Sideboarding is something that can separate a good Sealed player from a great one. There are a few different levels of Limited sideboarding, all equally important and increasingly tricky to execute properly. The first level is sideboarding in cards to fight your opponent's strategy. For example, let's say that your opponent is playing a white-blue Spirits deck. You're certainly going to want to bring in your copy of Clip Wings from the sideboard! It's a two-mana removal spell against their deck. This is the most obvious kind of sideboarding, and the one that I usually see people going to. The second level is bringing in cards to fight your opponent's specific cards. If your opponent has a really strong card that you're going to have an incredibly difficult time beating, you'd definitely spend one slot in your deck to have a chance against it...wouldn't you? Even if your answer is a little clunky, it's better than losing the game to a single card. I'll never forget the Sealed tournament where I had Umezawa's Jitte in my deck. It's one of the strongest cards ever printed for Limited gameplay, and I felt incredible. I was slicing through opponents left and right, drawing it every game somehow. And then eventually in round five I sat down across from one of the best local Seattle Limited players at the time. I, as the routine went, crushed him with Jitte in the first game. The second game, I drew Jitte yet again. I played it—but this time, there was a Hearth Kami waiting in his hand. In the third game, I drew Jitte once more...and a Wear Away struck it down. I talked to my opponent about it afterward. He said, "Losing because your opponent drew a single specific powerful card is something to be avoided at all costs. It's up to you to make sure that you don't lose that way." And he was right. 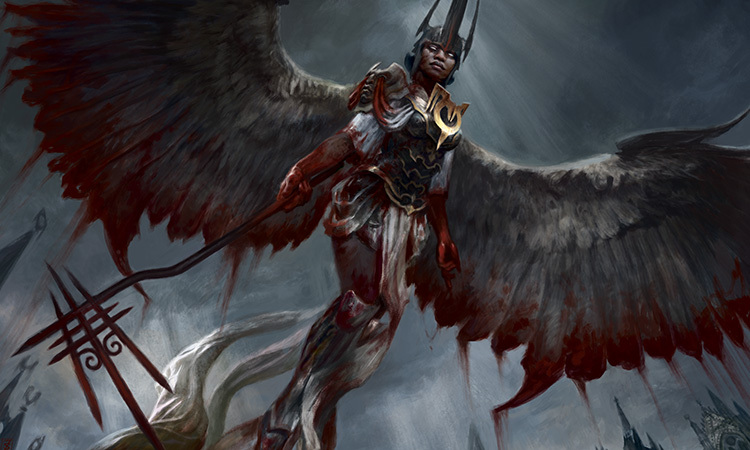 If your opponent has a deck featuring Archangel Avacyn and an Angel of Deliverance, you should certainly bring in your Deny Existence or Clip Wings to avoid facing the time of Angels. Sure, those cards aren't awesome on their own—but they can entirely turn the game around in your favor from "can't win" to "going to win." The third level is bringing in cards to fight your opponent's strategy. This one is where we really start to go more advanced. You know how we talked about having a plan for your deck earlier? Well, this involves figuring out how your plan relates to their plan and then sideboarding to fight their plan. For example, let's imagine that they are playing a red-black deck that features a ton of removal spells—but only a handful of mediocre creatures. Their plan is to kill off all of your creatures to run you out of action in your hand, then slowly tick away with their lumbering army. Well, what's good against that? Well, there are a few places you could turn to. If you have any creatures with hexproof, those could be great to bring in here. If you have any big card-advantage effects, like a large card-drawing spell or a spell that pulls multiple creatures out of your graveyard, that's another good option. In these cases, you're fighting back against their strategy directly by setting your deck up to be better versus their game plan. The fourth level is bringing in a deck to fight your opponent's deck. Yes, that's right—I wrote "bringing in a deck." You see, a thing about Sealed is you have all of these extra cards—and you can easily change decks. 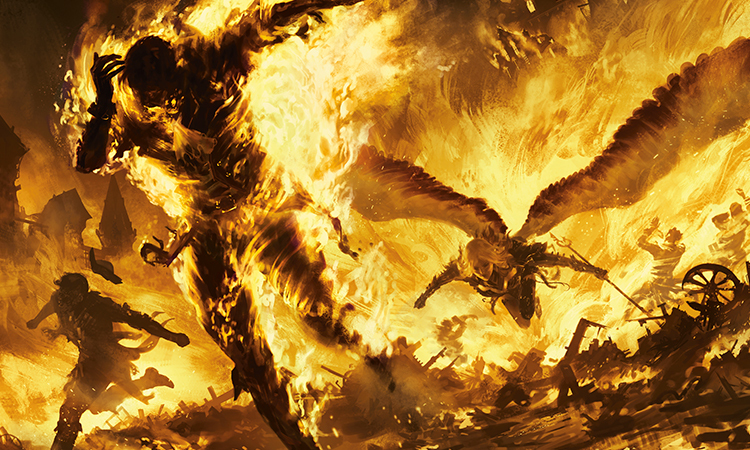 At the higher levels of play, it's actually reasonably common for the stronger players to have two decks built out of their pool, with a reason to sideboard into the backup deck. For example, let's say you build a slower green-red deck that is really weak to flying creatures. Your deck is strong overall, but you have almost no flying defense. You sit down, and lo and behold: your opponent is playing an aggressive Spirits deck! Well, you could bring in your one Clip Wings, but that isn't really going to solve the problem of an entire flying strategy. A different viable option would be to change decks entirely! Even if the green-white version of your deck might have been a little weaker in a vacuum, perhaps it's better here because white gives you more fliers you can trade off. Another common reason to switch decks? Well, it ties directly into my last major point about building your deck in context! Let's say that you build a deck that you think is going to be, on average, full of higher card quality than your opponents' decks. But maybe you sit down and find your opponent has a much better deck than you! Well, then you might want to transform after Game 1 into your riskier deck to have a better chance of taking your opponent's strong deck down. Finally, if you're playing against really strong players and they are playing on the same sideboarding level as you, you could sideboard to try and weaken their sideboarding. For example, imagine you beat them with your slow green-red deck in the first game. They go to their sideboard to bring in their strong long-game cards—but you transform into your aggressive deck, which is primed to make them regret all of the cheap early-game defense they're taking out! This is only for truly advanced play, but it's something to always keep in mind. But no matter what your comfort level is, I really can't recommend sideboarding enough. After every single game, always look through your sideboard quickly. It's easy to want to just go and shuffle up for Game 2 or Game 3, but more often than not there's at least one reasonable card to bring in that can make all the difference. Some synergies in Limited can be very loud and lead to obvious deck building. For example, tribal: Olivia's Bloodsworn makes your Vampires better, so therefore it makes sense to play more Vampires in your deck. Similarly, madness cards and discard outlets go together. This fits into your overall plan. These kinds of synergies are very apparent and will definitely make your deck stronger. But you should also be on the lookout for smaller synergies in deck building, as they can guide you on which final cards make the cut. For example, let's say you're building a black-green deck and for your last card you're trying to decide between Rancid Rats and Intrepid Provisioner. Neither of them is all that thrilling. But if you look over your other cards, you'll notice you have two copies of Rabid Bite—which is excellent with the deathtouch on Rancid Rats! That puts the Rats over the top. While tiny synergies that only matter if two cards come up aren't often going to be the thrust of your entire deck, it's a great way to make close decisions about which cards to add in. If your cards are made slightly stronger by the cards around them, that's going to increase your deck's strength by that tiny bit more—and make its overall quality all the more likely to triumph over your opponent. Play! screamed thousands of voices at me from across the internet. Well, hold on just a second. I'm going to let you in on a secret about Sealed that doesn't get out that often. Many people are taught that you always want to go first. And while that is true in Constructed formats, where your decks are more refined, and generally (but not always) true in Draft, where you have a strong coherent theme, in Sealed it can often be correct to draw! In fact, I would say my general default is to draw in Sealed. Why? Well, if tempo is ever less relevant in a game of Magic, then you want to be the person with the most cards. Playing first is generally better in other places because it helps you unleash your powerful game plan before your opponent. But if you're playing Sealed and the board is going to get gummed up to the point where nobody can attack by turn five, then tempo becomes a lot less important. Suddenly, it's all about drawing to your strongest cards. That's where drawing really shines. And that's not to understate mulligan decisions either. Keeping a two-land hand on the play is not ideal, while on the draw you have an extra card to smooth out your options. Now, I'm not saying always draw—just that in a vacuum, I recommend drawing in Sealed. It's very deck-dependent; if your deck is fast, you clearly want to play. If your opponent's deck is very fast, you probably can't afford for them to play. It's also very format-dependent as well. For example, in Shadows over Innistrad Sealed I would recommend choosing to, in general, play the first game. The reason? Werewolves! A turn-two Hinterland Logger from your opponent when you didn't draw any two-mana cards can really cramp your style. But if my opponent didn't show me any cheap Werewolves and my deck wasn't super aggressive? I'm definitely drawing in the second game. In hundreds and hundreds of Sealed games, the vast majority of my opponents have chosen to play—and so many times, I've just smiled, knowing that's what I wanted them to do anyway. Sealed is a format with much more to it than meets the eye, and hopefully now your head is swimming with possibilities about how to build decks in this format. There are a lot of differences from Booster Draft, even though many people tend to treat them the same—and knowing how to take advantage of those differences can be the key to victory. I hope you enjoyed this look at some more advanced Sealed Deck concepts. If you have any questions at all, you can always reach me by sending me a tweet or asking me a question on my Tumblr. If you have any Sealed deck building questions especially, go ahead and send those my way! I'll talk with you all again soon. Have fun with Shadows over Innistrad!